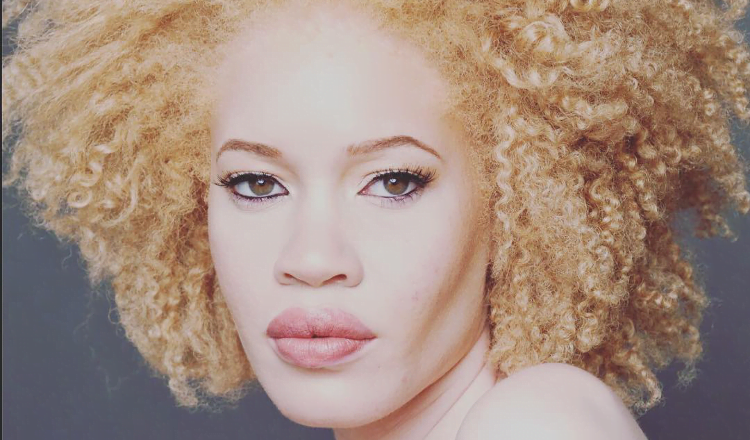 Albinism is a rare genetic disorder, often characterised by causing a lack, or total absence, of pigment in the eyes, skin and/or hair, affecting all races. This often results in discrimination, alienation and sometimes persecution, and has for many hundreds of years. The disorder also drastically increases the risk of sunburns and skin cancer, as well as causing many visual issues. Below is a list of those problems and a brief explanation. Nystagmus – is a condition that causes the eyes to move without the affected person moving them. This often causes discomfort, however, some of the affected are unaware of the movement. Amblyopia – often nicknamed “lazy eye”, amblyopia is a disorder where the affected eyes are unable to achieve normal vision, even with correct prescription glasses. Photophobia – this is a medical symptom where the affected person is caused pain because of light, even (sometimes) small amounts. This means that albinos can often be seen wearing sunglasses in conditions that don’t seem bright to the average person, even indoors. Lack of depth perception – this means that people with albinism are often unable to judge where an object is in a 3D environment. This can be quite problematic when an albino attempts to descend stairs without a handrail or clear visual aids. For as many problems there are for people with albinism, there are as many myths. Such as people do not have red eyes, there are actually two types of albinism – ocular and oculocutaneus . The stories you might have heard about people with albino body parts possess magic qualities; they don’t and yes albinism affects all animals too and not just people. and this website is a useful source of information on albinism.